High grade research quality used worldwide in universities and laboratories. 100W Halogen Illumination for reflected and transmitted. Save thousands of dollars over the cost of a new Zeiss metallurgical. All the microscopy techniques needed for metal analysis: Ability for brightfield in reflected light, darkfield, and DIC. HD DIC EpiPlan Neofluar Objectives. These are very expenses lenses. This model has everything. The intergral body of the model BX60 is much preferred over the smaller BX40 that has a simple attachment for the vertical illumination. Brighter transmitted illuminator than other models. Incredible DIC and Darkfield images are easily attainable with this instrument. Made in Japan. Quality assured to be outstanding. This is not the low-end Indian and Chinese versions. This is the real thing. Darkfield vertical illuminator, with associated darkfield nosepiece, fittings, and BD objectives. Ability to do both plane polarized and cross polarization. Includes U-AN and U-PO filters. High Quality Trinocular Professional Inverted Metallurgical - Metallographic Microscope! Perfect for Detailed Examination and Micro-Analysis of a Metallic Surface! Inverted Design (Objectives Below the Stage). Rechargeable Battery Operated Light (Battery Power Pack with Power Adapter Included, Nothing Else is Needed). Extremely Simple and Economic, yet Highly Effective! Upright Metallurgical Metallographic Trinocular Microscope! Both epi-illumination and transmitted illumination for a universally useful microscope. Upright metallograph with objective mounted above the working stage. 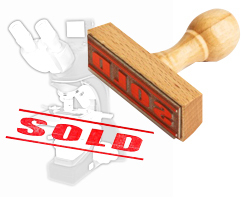 Upright Trinocular Professional Metallurgical - Metallographic Microscope! Ideal for Identification and Analysis of the Structure of Different Metals and Alloys. Upright Design (Objectives Above the Stage). Good Quality Binocular Inverted Metallurgical Metallographic Microscope. Great for High Quality Detailed Images of Metallic Grain Structures. Ideal Tool for metallurgical laboratories, quality control and testing labs, and foundries. 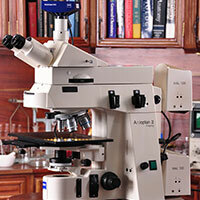 Metallurgical Microscopes .com is your solution! We are your one-stop source for metallographic and epi-illumination equipment for metallurgy. However, we do much more than just supply this inspection and measuring equipment. We carefully evaluate your specific application, then make an educated recommendation based on all parameters given. Our product line includes upright models for viewing generally smaller metallic specimens, large size upright models with big stages for quality control inspection of semiconductor silicon wafers, inverted models for viewing larger size specimens that may not fit under the stage of an upright model, and portable field inspection equipment. Our equipment is used for measuring and inspecting thin films and electroplating coatings, inclusions, surface defects, and metal grain sizes. We provide eyepiece reticles as well as the stage micrometers for calibrating the reticles. We also provide accessories such as attachments for photography including USB digital cameras for capturing digital stills and live video. We can also provide NTSC/PAL format CCD cameras for output to a CCTV monitor. Metallographic microscopes are used for a variety of applications such as semiconductor silicon wafer manufacturing, inspection and quality control, crystallography, analysis of sand castings in iron metal foundries, metallic grain microstructure analysis and identification, measurement of thin films, microscopic analysis of opaque surfaces, study of prehistoric stone age tools and artifacts, historical preservation, the study of metallurgy, and metal patina analysis. Material science and engineering laboratories doing research and development are involved in the inspection, analysis and testing of microstructure of materials. Common specimens for the materials science engineer to view are martensitic crystals in martinsite steel, austinite in austenitic steel, pearlite, carbon steel, heat treated, tempered and quenched steel, annealed steel, spring steel, ductile cast iron, phosphor bronze, alloy steel, malleable cast iron, die casting specimens, structural carbon steel, casting molds, case hardened steel, ceramics, carburizing metal, contaminants in metal, metal fatigue examples, tool steel, powder metallurgy samples, ferrous metal, titanium alloy, composites and composite fiber material, hardfacing samples, copper, samples for corrosion resistance and protection, thermoplastic specimens, tungsten, chromium, enamel coatings, stainless steel, extruded and stamped steel, refractory material, forged steel, pig iron, and aluminum castings. We are a professional dealer serving industrial clients, government, and educational institutions. Beware of the cheap peddlers of equipment that don’t know the difference between a metallographic and a polarizing unit. We provide you with quality technical support and training as needed. We are also willing to take microphotography of your specimens in our testing lab to demonstrate the high quality of our equipment. Plus, with the wide variety of models we have, we can select the best one for your particular application. Call us today to discuss your equipment needs. 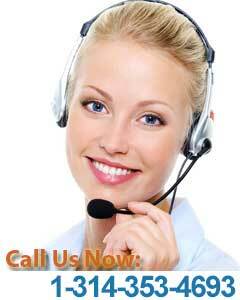 Our trained technicians are happy to assist you.